Pokémon Go was insanely successful by any measure. The augmented-reality app won “Best Mobile Game” at The Game Developers Choice Awards and “Best App of the Year” from TechCrunch. It was downloaded at least 650 million times. People left the house because of it, and sometimes they fell off cliffs because of it. Pokémon Go was life. Since then, nothing's filled that AR-shaped hole in our hearts -- not even real reality. But soon we'll all have a new reason to haphazardly wander in the streets again. 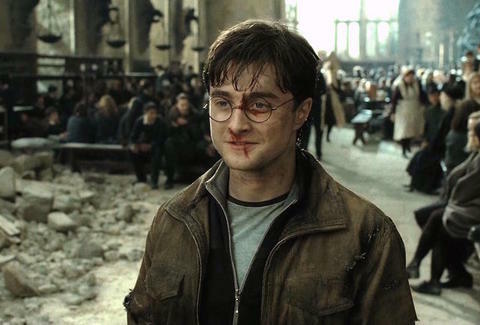 Niantic, the company behind Pokémon Go, announced on Wednesday that it's developing a Harry Potter augmented reality game. No need for a Time-Turner either: the game, Harry Potter: Wizards Unite, is expected to launch sometime in 2018. Niantic said the game is being co-developed by Warner Bros. Interactive and its new sub brand, Portkey Games, so it'll be the real deal and not an off-brand Boy Who Lived with lighting-shaped acne. In blog post, Niantic CEO John Hanke announced that players will "learn spells, explore their real world neighborhoods and cities to discover & fight legendary beasts and team up with others to take down powerful enemies." This means that while the app will resemble Pokémon Go in that it'll be AR-based and we'll be out in the real world showing how nerdy we truly are, it might be more similar Niantic's previous game, Ingress. "The mechanics of Ingress would actually translate pretty well to the fictional Harry Potter universe, and seems almost ready-made for a fantasy spell casting coat of paint to replace its science-fiction special forces veneer," TechCrunch speculated ahead of the company's announcement. A Fantastic Beasts spinoff would've been an easy cash-in if Niantic wanted to simply rehash Pokémon Go, but it looks like the company is making something new and specific for the Harry Potter universe. So far, that's all Niantic will say about the game, but the company promised more details will be revealed in 2018 via the official website, Twitter, and Facebook page. In the meantime, just look forward to awkwardly yelling Expelliarmus as you fling your iPhone X off a balcony (not even an augmented-reality Reparo spell will fix that). James Chrisman is a News Writer at Thrillist who doesn't need a game to play wizard. Send news tips to news@thrillist.com and follow him on Twitter @james_chrisman2.